Glasgow is well known for providing their visitors with a warm welcome, It’s the 5th most popular city to visit in the UK and situated on the river Clyde with a history steeped in ship building. Glasgow itself is a vibrant city with a bustling nightlife and well known for having excellent shopping facilities and a wide range of restaurants serving both classic and contempory cuisine that will cater for all budgets and tastes. Out with London Glasgow is the largest centre in the UK for shopping the 3 main areas for shopping is Buchanan street, Sauchiehall street and Argyle street where you will find, on the high street stores, boutique stores which will offer you the opportunity to pick up some unique gifts and then the merchant city offers you the opportunity to visit the designer stores. 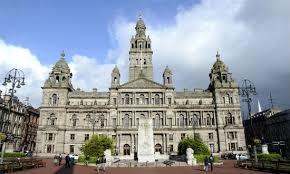 The wealth of the Victorian past of Glasgow has left its mark with some outstanding architecture like that of the city chambers or the cathedral. One of Glasgow’s most well-known know artists is Chares Rennie Macintosh a Glaswegian architect and designer famous for blending Scottish and Japanese influences, some of his work can be visited at MacIntosh house or visit willow café. There is 20 museums and art galleries to choose from so you will find something that will be of interest t you, Glasgow is proud to have Europe’s largest civic arts collection with works by Van Gogh, Degas and Monet. Whisky lovers will enjoy being able to tour of Glengoyne Distillery which is a 40 minute drive outside the city and The Clydeside Distillery which is on the outskirts of the city or for something a little different there is the Tennent's Wellpark Brewery one of Scotland oldest beer breweries, take the tour and discovers some of the secrets to creating a pint. Glasgow has a diverse culture of food and you will find something for even the fussiest of eaters and for all budgets. Scotland has a larder full of some of the finest produce from seafood to beef and fruit and vegetable’s our chefs are lucky to have such diverse range of ingredients to create traditional Scottish dishes or indulgent masterpieces. Don’t worry the kids have no been forgotten about, the Glasgow science centre on the river Clyde will keep the kids entertained for a few hours withl live demonstrations and interactive activities, or head along to snow factor where you can snowboard, ski or sledge on real snow if water sports are more your thing then head to Pinkstone water sports and try rafting or canoeing, if you prefer a more leisurely activity there is the loch Lomond aquarium or enjoy a walk round the botanical gardens. Red Deer Village Holiday Park has good reviews on trip advisor for being clean and having friendly staff, it is located on the outskirts of Glasgow with the train station close by offering you good transport links in to the city. Strathclyde Country Park and campsite has all round good review for the facilities and cleanliness plus good location for going into the centre or visiting nearby Strathclyde country park. Glasgow is an ideal starting point for your motorhome journey especially if you plan on visiting loch Lomond and touring some of the Islands such as the Isle of Islay, Isle of Mull and then working your way up the west coast of Scotland, please see our blog below which has some suggestions of where you could go with your motorhome. We are located in Perth Scotland, approximately 1 hour from Glasgow Airport. We do not cover Aberdeen or Prestwick airports. For your comfort and safety we have a dedicated fully insured shuttle Bus for our Motorhome Hire customers, We collect and return from Edinburgh, Glasgow International (Not Prestwick ), We can also collect and return you to your hotel, Transfers from Perth Rail Station are free for all our customers. If you require Transfers please ask for a quote, and this will be built in to your overall Motorhome Hire holiday package with us.